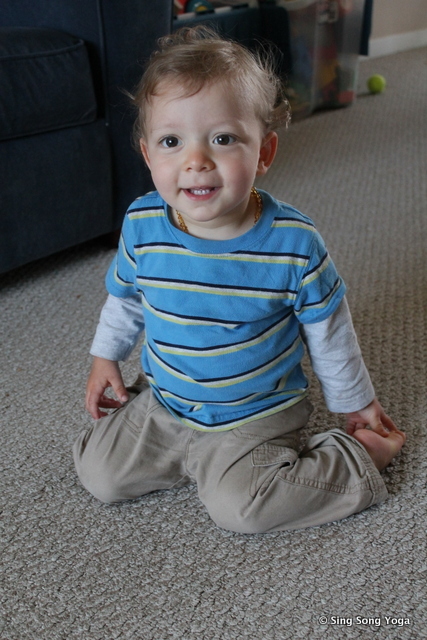 Recently my 17-month old said “mo doda” which means more dog. So I looked outside and informed him that the neighbor’s dog had gone inside. He loves watching their dog. But he continued to repeat “mo doda, mo doda” while continuing to do the sign language for more. 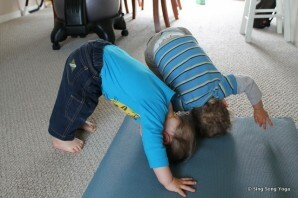 I finally realized he wanted me to sing our Sing Song Yoga song for Downward Dog!! So I started to sing it. He was elated and joyfully got into the pose. My heart melted! 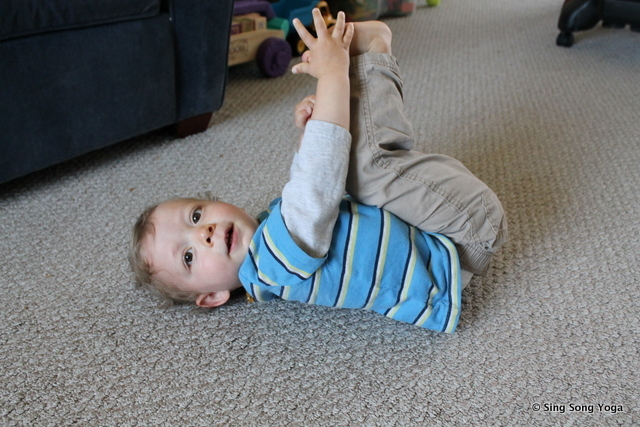 A few months ago a parent asked me how she could best do yoga with her one-year-old daughter. After thinking about it I realized that I could simply share with her what I do. When my twin toddlers are playing and it seems like a good time, I get down on the floor with them, sing a song for a pose and do the pose. Some days they are more into it than others but they love it! 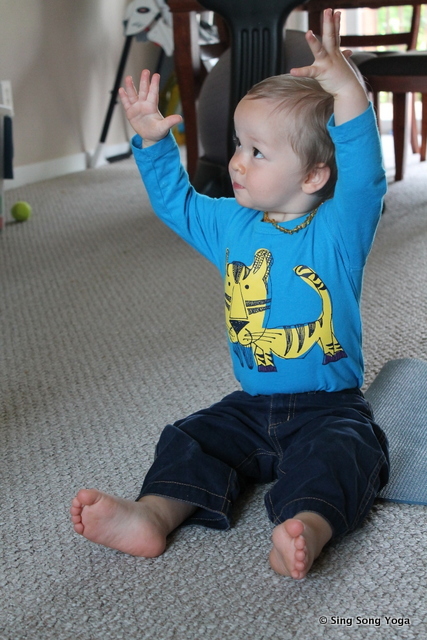 Of course, I already know the Sing Song Yoga songs, but for other parents I recommended this. Learn one of our songs and how to do the pose by watching the Sing Song Yoga DVD or your chosen pose on the Sing Song Yoga App. 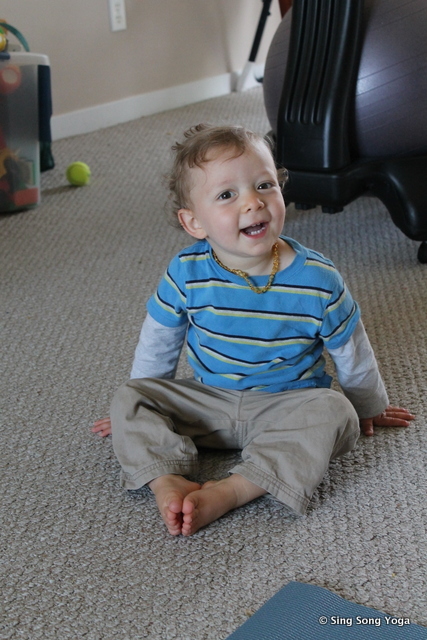 Then, once you’ve learned a song or two and your child is playing and seems open to it, get down on the floor with them and begin singing and doing the pose. Your child might not do the pose right away but it shouldn’t take too long before they catch on. Also, whenever you see your child in what looks like that pose, begin singing the song and do the pose right next to them. 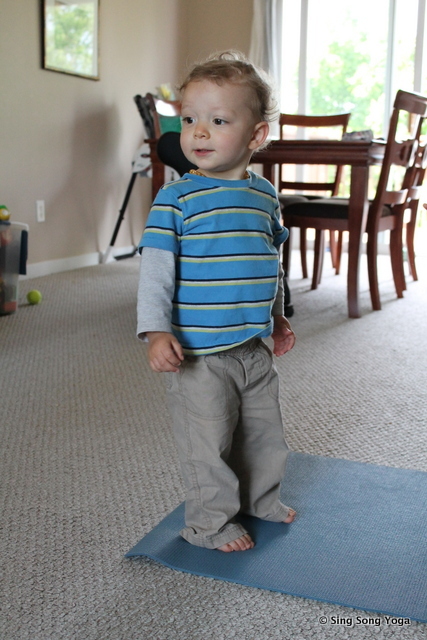 Soon you will have a little one who pops in and out of yoga poses all day long! 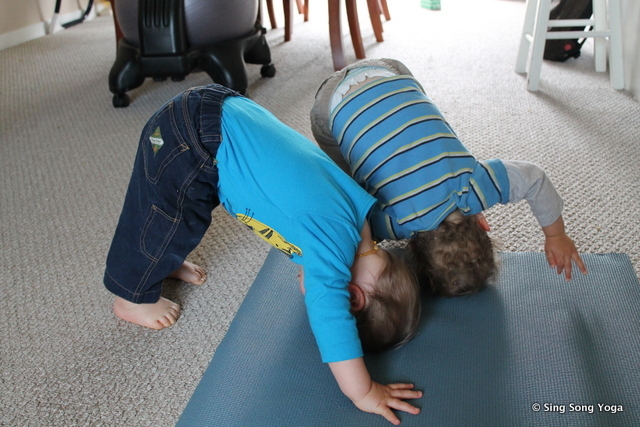 It is such a blast when they do their first yoga pose on purpose! And so heart warming to witness them continue to love it! 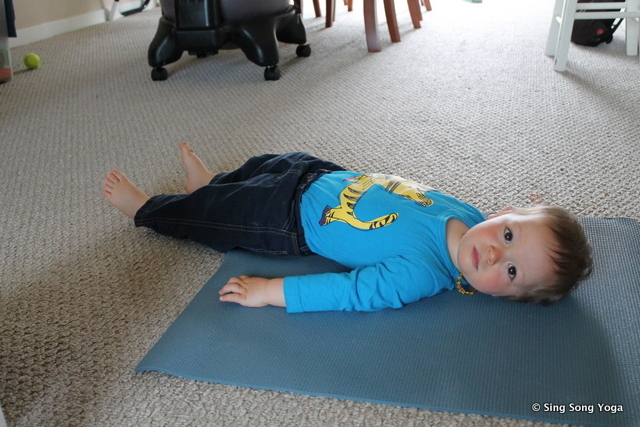 To start doing yoga today with your toddler I recommend the following six poses. Remember – take this very lightly and simply have fun. Your toddlers might join in right away, but if they do not they are learning nonetheless and will move forward in their own time. So give it a try and I’d love to hear about your experiences on our facebook page! This entry was posted	on Friday, May 31st, 2013.